High security locks are simply locks that are extremely difficult to open without their key whether by picking them or by different manipulations. There are different from the “regular Joes” of locks. They are usually used in industrial and commercial buildings, offices and even some homes. These locks are more expensive than the regular locks, sturdier in build and come with a key control which means that their keys cannot be duplicated without authorization. High security locks are usually sold with keys and cards that contain information that must be extracted before the keys can be duplicated. • The keys and keyways are usually protected by patents; whether from the United States or foreign. • Key control can only be accessed by licensed or contracted locksmiths and service centers accredited by the manufacturer. • Locks and keys are made with a CNC machine, thus ensuring precision. 1. The Medeco Lock. This is used by a large percentage of the high security market in the United States. It used to be one of the safest locks in the market but its major disadvantage remains the issue of key control, although the newer versions have tried to overcome this challenge. 2. BiLock NG. These high security locks have U-shaped keys which are unique and hard to copy. The locks are highly resistant to picking and cannot be bumped. In addition, they have a Quick Change Core system which means the core of the lock can be replaced with a new core as desired but not without the control key. 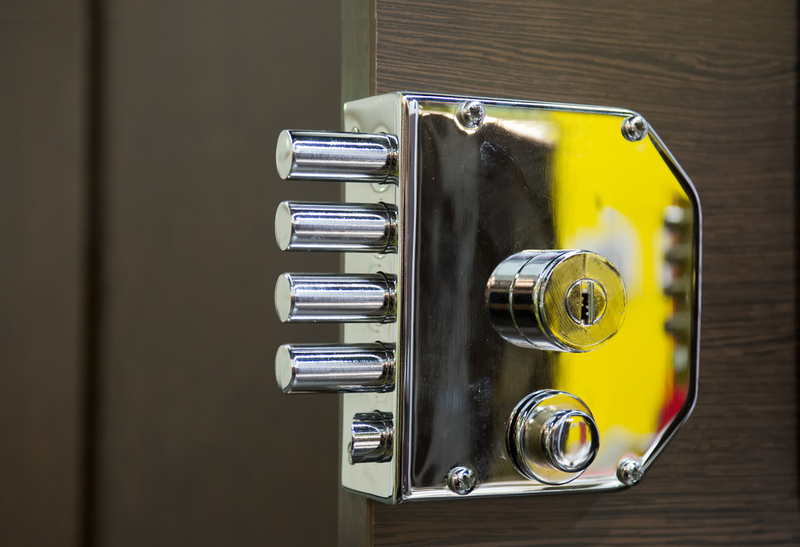 These locks are the favorites of casinos and many similar businesses. 3. EVVA Locks. Their locks have a mechanical and magnetic slider security system which makes them bump proof and impossible to pick. In addition, their key is one of the most difficult to duplicate and they have top-notch key control. 4. Abloy Protec. This is one of the best high security locks in the market. It has a unique anti-picking system, is bump proof and has the much desired drill resistant feature. The keys to Abloy locks are hard to copy and they have a patent that extends through 2031 which means no one can reproduce their keys unless they are under Abloy. 5. Sargent & Greenleaf Locks. The top-notch quality and expertise used in forging these locks makes them highly force- and manipulation resistant. They may not be as secure as the Abloy but they get the job done. 6. Stanton Concepts. These unique locks are not as complex as other and their effectiveness lies in their simplicity. They are pick-resistant and durable and the Robo Key System (RKS) makes them easy to customize to suit the specific needs of the buyer. There are several other high security locks in the market and these locks have their advantages and disadvantages. Therefore, before making the choice of the high security lock to use, ensure you are properly informed or have an expert help you with your choice. Feel free to contact Gilbert Locksmith with any question about high security locks.